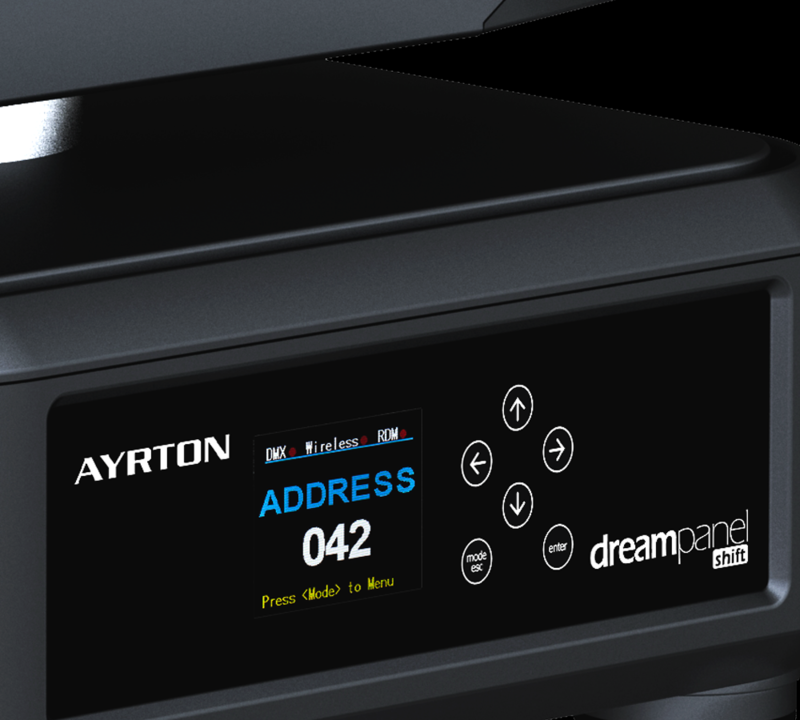 The DREAMPANEL SHIFT is the magic blend of two technologies: the continuous pan-tilt rotation of the MAGICPANEL and the new control system from the HDMI DREAMPANEL HD-BOX (patent pending). 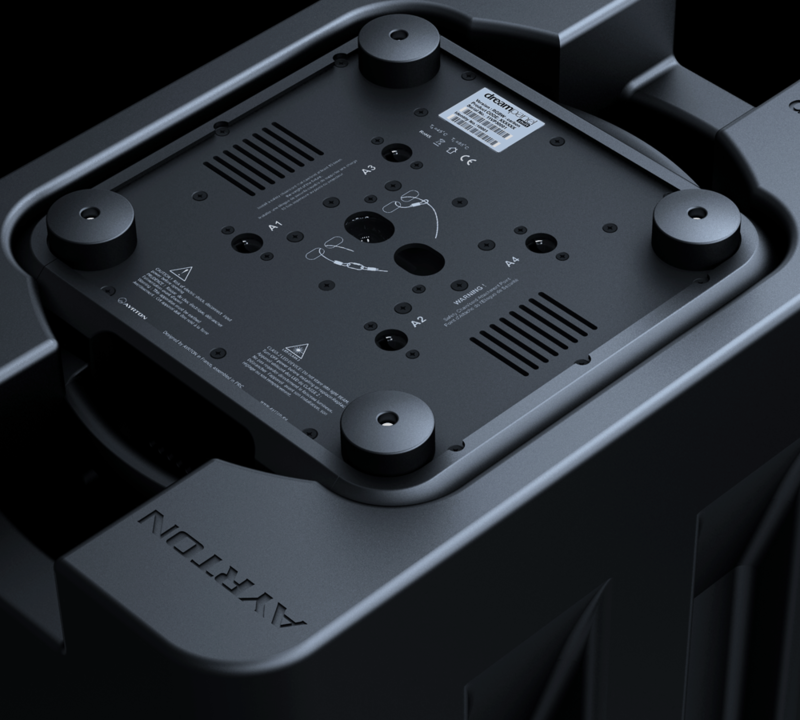 An innovative 48 circuit rotating connector has been developed to enable the smooth, undisturbed transmission of video signals through pan & tilt rotation. 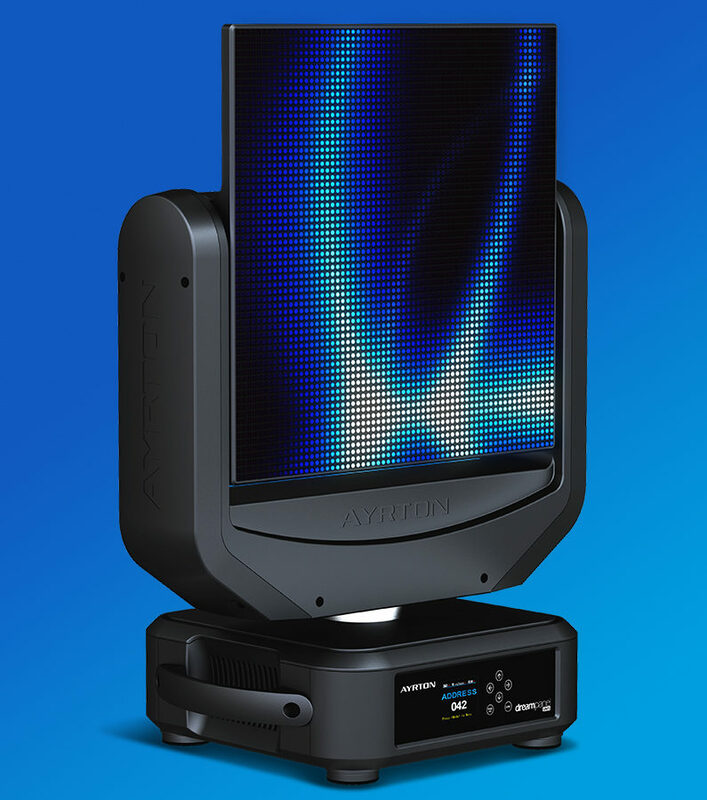 The DREAMPANEL SHIFT was designed with an entirely new type of RGB LED whose flat black casing and internal reflector provide absolute contrast and allow for breathtaking graphic effects, while avoiding stray reflections from the other light emitters. 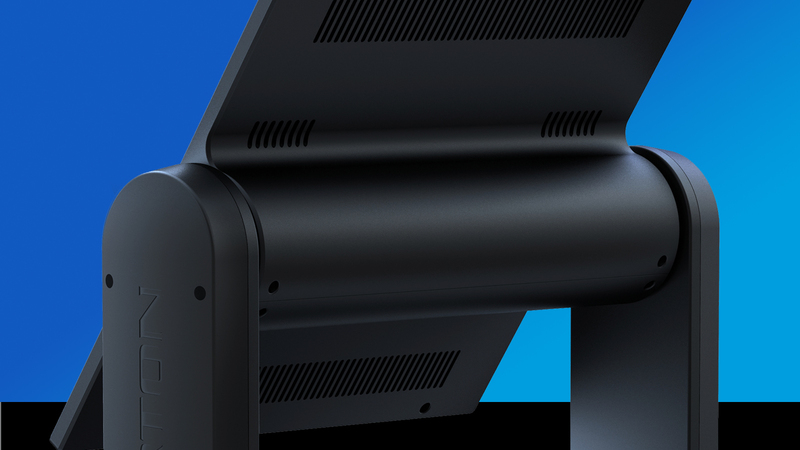 The 6 mm pitch of the DREAMPANEL SHIFT offers the perfect balance of definition required to display video media on stage, of screen size for enabling full HD, and of overall system brightness. 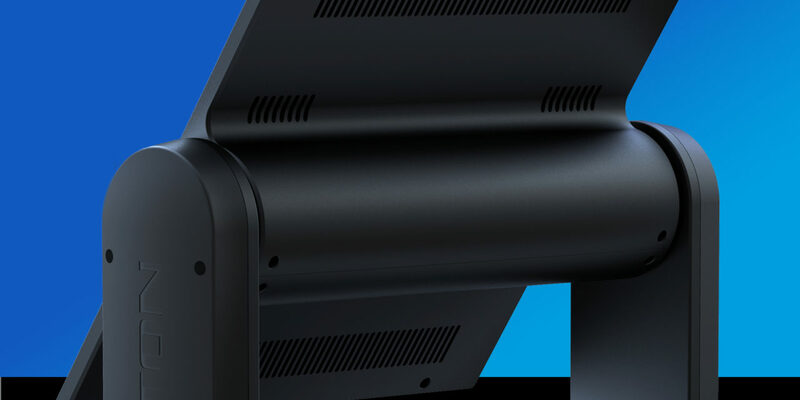 Each DREAMPANEL SHIFT tile receives the entire HDMI 1080P image but displays only its allotted portion of the image. 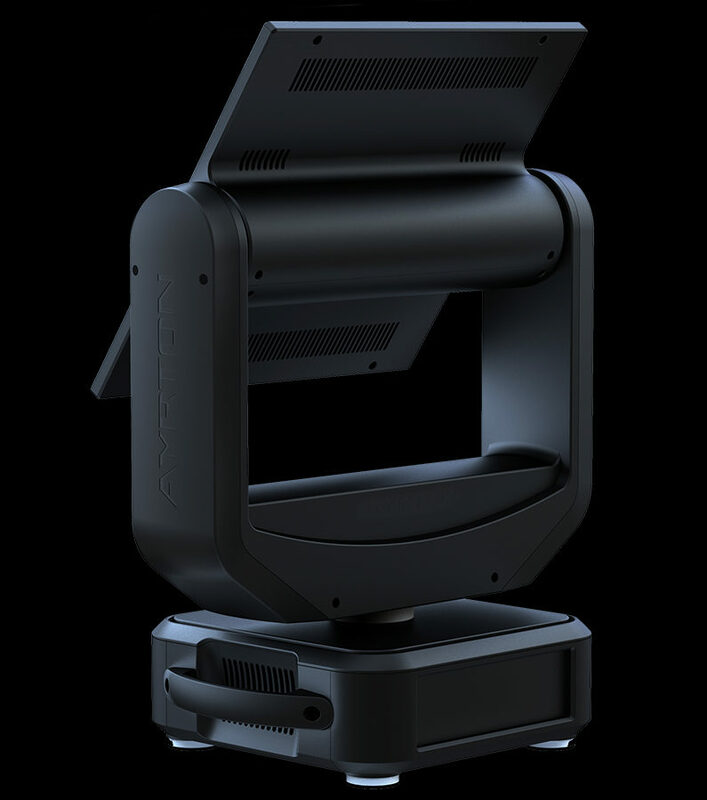 The HDMI luminaires can be daisy-chained in any order without any concern for lines and rows. The HDMI DREAMPANEL MANAGER software allows the overall system parameters to be set for any desired configuration. Because each tile can be set with its own orientation inside the overall image, the user is able to create highly complex shapes. As with the MAGICPANEL-R, pan & tilt movement can be controlled through Art-Net or sACN via an Ethernet link.